By Biswaraj Patnaik in Puri, April 11, 2019: Whenever elections come around the corner, pollsters take birth everywhere in uncountable numbers. It has been a routine job of the leading, wealthy media houses to engage in poll forecasting because they imagine their wide presence can get all critical information related to people’s perception and more. Their representatives- particularly the stringers, hardly trained in survey methods and pulse reading, pick all the flying rumours and share them with the masters sitting in cosy interiors. Lately, serious poll survey activities have ceased to happen because of the social media which is crazily supplying all kinds of information and data that are shared by numerous mobile-mad people- especially the youngsters. In the last decade it has been observed that real pollsters have been pushed into oblivion as social media has turned enormously powerful. Not surprising therefore that the majority of media houses flimsily analyse the social media stuff and conclude and construe outcomes. Psephologists all over the world have now come to believe that errors in poll predictions in India are difficult to explain as most elections are conducted without following methodological protocols. Poll agencies conduct surveys among electorates which help them only in assessing vote share estimates. They use routine statistical models to arrive at ‘seat forecast’ which remain extremely hazy for a variety of reasons. Seat predictions are a second-order problem; and in most cases, vote predictions go horribly wrong. The increasing inaccuracy in electoral predictions is due to multiple factors : most forecasters rely on the old style of forecasting using a vote share to seat share model which has lost its relevance today. Political analysts believe that lack of a robust poll infrastructure also has to do with the increasing size of errors in their predictions. The lack of institutional mechanism too makes opinion polls unreliable. A lot of information which is required to make a poll prediction reliable does not exist in India. A good statistical model to make ‘seat forecast’ requires: vote estimates, demographic characteristics and development indicators, among a few other factors. Most social science departments- even many journalists who present poll numbers on the TV screen- do not have basic training in probability and statistics expertise. This situation creates an environment of unwanted expectations from election polls. The ideal way to forecast is to sample every single constituency with a decent sized stratified sample. This needs heavy resources in terms of people, money and time. As most agencies do not have all this, they are forced to resort to shortcuts. There are two reasons why the poll prediction errors have increased over time : The first is the huge number of political parties. Higher the number of parties, more difficult the predictions become. In the 2014 general elections, 464 political parties had contested. The number was around half of that in 1998. In the 2009, there was an increase by at least 100 political parties. The second reason witnessed big increase in the number of polling agencies. Most of the well-known polling agencies fail to conduct surveys systematically due to lack of experts. Hence overall errors invariably high. Thus the good work done by a few efficient agencies get overshadowed by numerous bad ones. Further, experts believe that polling agencies are hardly worried about errors as they get their loot easily from the hirers and never invest an extra dime to improve quality. Once polls are over, each forgets the other for the next five years. Scientific study shows poll agencies hire ordinary jobseekers as field as surveyors who would not know where they go wrong and why. So poll predictions go haywire in most cases. Errors can be diagnosed only when there is access to critical information about how polls are conducted. Most agencies avoid disclosing how they conclude predictions because most of them are so untrained that they fail to analyse and make sense of the findings in hand. Most pollsters in India are facing the ‘credibility crisis’ because their number has multiplied like NGOs headed by self-serving numbskulls masquerading as ‘know-alls’ pretending as experts. Most unfortunately, media houses, mostly with field pinheads, fail to play a constructive role by making clear realities and exposing rogues in the business. The most terrible fact is that no poll agency is ever held accountable for bizarrely wild forecasts. A recent analysis shows that 85 per cent of the forecasts have been wrong for the state elections after 2014. Yet, the same pollsters continue to predict and people are in utter confusion as to who has done the perfect job. ‘Poll of polls’ predicts BJP-led NDA to get 277 seats, UPA 138, Others 128 in the coming elections. The NDA with 277 seats this time, is just 5 seats above the critical mark of 272. The polls predictions by quite a few prominent agencies indicate that the BJP-led NDA may come back to power, but with a slender margin, though Congress and some other Opposition parties are likely to improve their tally. Today is the poll season’s opening day. In the 2014 Lok Sabha elections, with kind of a Modi aura, it had won 336 seats, the saffron outfit alone having grabbed 282 on its own. The survey also indicates that the Congress-led United Progressive Alliance which recently pulled off three stunning victories in the Hindi heartland states of Madhya Pradesh, Rajasthan and Chhattisgarh, is likely to increase its seat tally to 138 from 59 in 2014. The Congress’s individual score was 44 then. Parties including the BJD, Trinamool Congress, Samajwadi Party, BSP, TRS and YSRCP, not part of the current NDA or UPA camp, are predicted to win 128 seats. They had easily won 148 seats in the 2014 polls despite a very strong Modi wave. • Republic Bharat-Jan Ki Baat’ claims that the NDA could get 310 seats this time, comfortably past the halfway mark, while the UPA may lap up 122 seats and others may have to be content with only 111. 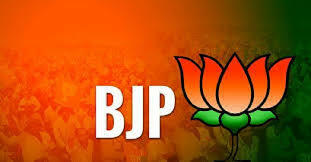 • The ‘TV9 Bharat Varsh-C Voter’ forecasts that the NDA may fall short of majority, securing not more than 261 seats, while UPA and Others will get 143 and 139 seats, respectively. • The ‘Times Now-VMR’ predicts 283 seats for NDA, 135 for UPA and 125 for Others. • The ‘News Nation’ predicts 273 seats for NDA, 133 for UPA and 137 for Others. • The ‘Republic TV-C Voter’ and ‘Zee 24 Taas estimated 264 seats each for NDA and 141 and 165, respectively, for UPA. • The Others seat tally has been projected at 138 and 114 by ‘Republic TV-C Voter’ and ‘Zee 24 Taas’ respectively. • The ‘India TV-CNX’ gives 126 seats to UPA, 285 for NDA, and 132 to others. By mixing up all predictions in one bowl and stirring them vigorously, it can be concluded that the seat tally for NDA is 277, marginally above the magic 272, while the Congress will win only 138 seats, and others to hit only 128. Odisha still remains an enigma for many of the self-proclaimed poll masters. With Naveen Patnaik having ruled the state for close to two decades in one stretch, and without even the faintest signs of anti-incumbency factor perceived so far, it looks the magician chief minister is going to make a joyous comeback. There could be a slight change in the Lok Sabha seat tally, but overall, the BJD is poised to win merrily. Some of the poll masters, active since quite sometime, seem to have been bought over by the vested interests to show BJD in bad light. Or else, their survey methodologies have been so flimsy and erroneous that wildest of predictions have been made except for one ‘CNX-India TV’ which, for sure, has done a real good ground survey using the true cross-sectional assessment methods. They seem to have touched all keypersons and vocal common folks across the target communities. The CNX is a highly credible British outfit which has allied with ‘India TV’ for poll surveys. While most agencies have predicted big loss for BJD LS seats, the CNX team has given the BJD the usual enviable number of 14. Local observers say that’s the rock bottom number. It is going to be bigger. All said and analysed, it looks only Nabarangpur is favourable to the Congress candidate Pradip Majhi who is too popular and considered good to all. The second fierce LS battle segment is Puri where Sambit Patra, a ‘master physician’ with impressive antecedents and track records, is taking on Pinaki Mishra a lawyer of repute. But even then, if Naveen shows up just once in a rally, not speaking at all but only waving his hand, the crowds would go into a frenzy and dismiss the doctor at once. That’s the ‘Naveen magic’ which the best of mind readers and psephologists have failed to decipher or crack. No matter how poorly the pollsters project BJD, the situation will change in favour of the ‘Conch’ symbol the moment reticent Naveen is out amid masses, clad in his trademark Kurta-pyjamas and ‘Kolhapuri chappals’!